(April 14, 2019) Clint Smith and his #44 team were back in the Senoia Raceway pit area on Saturday night, April 13, as they unloaded a Limited Late Model to compete in a weekly show at the nearby Senoia, Georgia facility. Clint knocked down the second quickest lap overall during qualifying to earn the outside of the front row for the start of the main event. Clint then fought hard for the $750 payday in the headliner before claiming a runner-up performance behind only victor Austin Horton. Full results from last night at Senoia Raceway can be located online by visiting www.senoiaraceway.com. Clint Smith Kicks Off 2019 with Strong Senoia Run! (March 31, 2019) Clint Smith Racing (CSR) lifted the lid to their 2019 campaign on Saturday evening, March 30 at the nearby Senoia Raceway in Senoia, Georgia. Clint Smith posted the third fastest time in Group B during Schaeffer's Oil Spring Nationals Series qualifying and later ran second in his stacked heat race. After starting the $10,000 to win headliner from the outside of the third row, Clint was strong throughout the 60-lap main event and wound up finishing right where he started... in the sixth finishing position. Complete results from last night at Senoia can be viewed online at www.southernnationalsseries.com. (March 6, 2019) Four-time and defending Super Late Model Track Champion Clint Smith, of Senoia, Georgia, is scheduled to kick off his 2019 campaign on Saturday evening, March 30 at Senoia Raceway! The Schaeffer's Oil Spring Nationals Series tour will invade his hometown facility at the end of the month and Clint plans to unload his potent Super Late Model to vie for the $10,000 windfall. More information concerning the racing action on the gray gumbo can be accessed online at www.senoiaraceway.com. (November 26, 2018) In a long weekend marred by inclement weather on November 23-25, Clint Smith and his #44 team finally competed in the 'Gobbler 100' on Sunday at Cochran Motor Speedway in Cochran, Georgia. The National Late Model Super Car Series sanctioned the $10,000 to win special and 39 competitors piled into the pit area. Clint posted the tenth quickest lap during the qualifying session prior to running second in his stacked heat race. After starting the 75-lap headliner from the outside of the third row and slipping back early in the distance, Clint rallied all the way up to third to finish on the podium behind only victor Travis Pennington and runner-up Scott Bloomquist! Complete results from the 2018 season finale at Cochran can be located online at www.cochranspeedway.com. "Cat Daddy" Blasts to Fourth in Southern 100! (November 4, 2018) Clint Smith and his #44 team ventured south to Southern Raceway in Milton, Florida on November 2-3 for the annual running of the 'Southern 100.' Clint timed in fifth fastest in his group during the Durrence Layne Chevrolet Dirt Late Model Series qualifying session and later placed fifth in his stacked heat race. After rolling off from the inside of the seventh row in Saturday's $10,000 to win headliner, Clint put on a show during the course of the extra-distance affair. After 100 green flag circuits, the popular driver known as "Cat Daddy" found himself in the fourth position behind only 'Southern 100' winner Jake Knowles, Andy Picklesimer, and Joseph Joiner! Full results from the Crate Late Model special can be accessed online at www.durrencelayneracing.com. (October 21, 2018) The annual running of the 'Showdown at Senoia' took place on October 19-20 at the nearby Senoia Raceway in Senoia, Georgia. The Southern Nationals Bonus Series presided over the action at the "gray gumbo," which started on Friday night with a $4,000 to win shootout. Clint Smith grabbed the fifth transfer spot through his B-Main prior to blasting past eleven competitors during the 40-lapper to claim an eighth place showing. In Saturday's $6,000 to win weekend finale, Clint knocked down the fifth quickest lap in Group B during qualifying and later passed four racecars during the 50-lap headliner to close out the doubleheader with a sixth place effort. Full results from last weekend at Senoia Raceway can be located online by visiting www.senoiaraceway.com. Smith Solid in Lucas Oil Doubleheader in Peach State! (October 1, 2018) Clint Smith, of Senoia, Georgia, was in the pit area at Dixie Speedway in Woodstock, Georgia and Rome Speedway in Rome, Georgia on September 29-30 for a pair of Lucas Oil Late Model Dirt Series tilts. On Saturday night in the annual 'Dixie Shootout,' which paid $12,000 to the winner, Clint drove Matt Bishop's #06 machine to a fourth place heat race finish and an eleventh place performance in the 50-lap headliner. In the $10,000 to win 'Rome Showdown' on Sunday evening, Clint placed sixth in his stacked heat race and third in his B-Main prior to blasting past thirteen competitors during the 50-lapper to secure a solid ninth place effort. Complete results from both weekend races in the Peach State can be viewed online at www.lucasdirt.com. Clint Smith Gets Pair of Top Fives at East Alabama! (September 24, 2018) Clint Smith, of Senoia, Georgia, is coming off a very hectic 'Alabama State Championship' weekend at East Alabama Motor Speedway in Phenix City, Alabama on September 22-23, as he entered cars in a trio of different divisions. In Super Late Model action at EAMS, Clint moved past eight competitors during Saturday's $2,000 to win feature to place second in the final finishing order, while he set Fast Time on Sunday before fading to fifth in the $4,000 to win A-Main due to a wrong tire selection. In Crate Late Model competition, Clint started fifth in the $5,000 to win headliner, but lost his brakes and was unable to finish the feature distance. Behind the wheel of a Limited Late Model in a similar $5,000 to win program, "Cat Daddy" rolled off seventeenth on the starting grid, but problems once again sidelined him during the main event. Complete results from the long weekend can be accessed online at www.eamsdirt.com. Smith Reaches Double Digit Win Mark; Senoia Track Champ! Clint Smith Second in Limited/Crate Class at Senoia! (September 9, 2018) Clint Smith, of Senoia, Georgia, headed to his hometown Senoia Raceway on Saturday evening, September 8. He ran his Crate Late Model in the Limited Late Model division and battled hard for the $1,000 payday. Clint eventually wound up a strong runner-up in the combined feature behind only victor Cass Fowler, but also received an extra $250 bonus for wheeling the highest-finishing crate car. Full results from last night at Senoia Raceway can be located online by visiting www.senoiaraceway.com. (September 3, 2018) "Cat Daddy" Clint Smith wheeled Matt Bishop's #06 machine on September 1-2 in a big doubleheader at Dixie Speedway in Woodstock, Georgia and Rome Speedway in Rome, Georgia. On Saturday night in a $2,000 to win shootout at Dixie, Clint qualified second quickest and took the lead three different times during the unsanctioned main event with a caution flag negating each pass. He wound up placing a close runner-up behind only victor Zach Leonhardi at the Atlanta-area oval. At Rome on Sunday evening in the $3,000 to win 'Rome Boss,' Clint started fourth on the feature grid and drove up to second before a flat left rear tire on lap 31 helped relegate him to a sixth place showing. Full results from both weekend races can be accessed online at www.dixiespeedway.com. (August 26, 2018) Clint Smith, of Senoia, Georgia, was back in the Senoia Raceway pit area on Saturday evening, August 25 with both his Super Late Model and Crate Late Model. In the $4,000 to win Ultimate Super Late Model Series battle, Clint laid down the fourth quickest lap in Group B during time trials to land the eighth starting spot in the 40-lap feature. 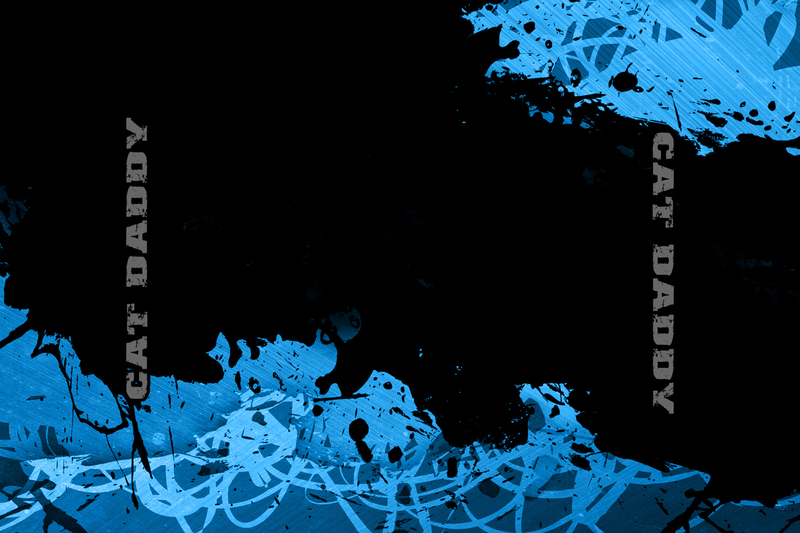 "Cat Daddy" ran amongst the top five in the special event before a late flat tire resulted in an eighth place showing. Clint then wheeled his Crate Late Model to a strong runner-up performance in the headliner behind only victor Michael Page. Full results from last night at Senoia Raceway can be located online by visiting www.senoiaraceway.com. (August 12, 2018) Clint Smith Racing (CSR) ventured to Talladega Short Track in Eastaboga, Alabama on Saturday evening, August 11 for the $10,000 to win 'Governor's Cup.' The Southern All Stars Dirt Racing Series (SAS) presided over the single-day throwdown that drew 45 competitors to TST. Unfortunately, Clint Smith suffered mechanical problems during qualifying and was forced to scratch from the remainder of the program. He was unable to advance into the 60-lap main event that was won by Michael Page. Complete results from last night at Talladega Short Track can be viewed online at www.sasdirt.com. Clint Smith Dominates Senoia for $1,000 Crate Win! (August 5, 2018) Clint Smith laid claim to his ninth feature win of the 2018 racing season on Saturday night, August 4 at the nearby Senoia Raceway in Senoia, Georgia! Driving his #44 Crate Late Model, Clint dominated the racing action on the "gray gumbo" by setting Fast Time in qualifying and later leading each and every circuit of the main event. The popular driver known as "Cat Daddy" bagged $1,000 for his efforts last night at his hometown facility. Full results from last night at Senoia Raceway can be located online by visiting www.senoiaraceway.com. Smith Leads Flag-to-Flag for $4,000 Dixie Triumph!!! Clint Smith Nabs Seventh Win of 2018 at Senoia! (July 23, 2018) Clint Smith made a triumphant return to racing action on Saturday evening, July 21 at the nearby Senoia Raceway in Senoia, Georgia! Driving a Crate Late Model, Clint earned Fast Time honors during qualifying and led laps 1-3 before retaking the point for good on lap ten of the weekly feature event. "Cat Daddy" drove to the $700 victory by besting Ashton Winger, Marty Lunsford, Jake Rainey, and Mason Massey, which marked his seventh trip to victory lane so far in 2018! 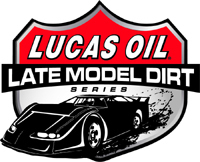 On Sunday night, July 22 at Rome Speedway in Rome, Georgia, the Schaeffer's Oil Southern Nationals Series rolled into town to sanction a $5,300 to win Super Late Model tussle. Clint laid down the sixth fastest lap in Group A during time trials prior to grabbing the second transfer spot through his consolation event. The Senoia, Georgia ace then improved seven positions during the course of the 53-lapper to leave Rome with a solid sixth place showing behind only victor Austin Horton, Aaron Ridley, Ivedent Lloyd, Jr., Casey Roberts, and Michael Page. Full results from both weekend races can be viewed online at www.senoiaraceway.com and www.southernnationalsseries.com.